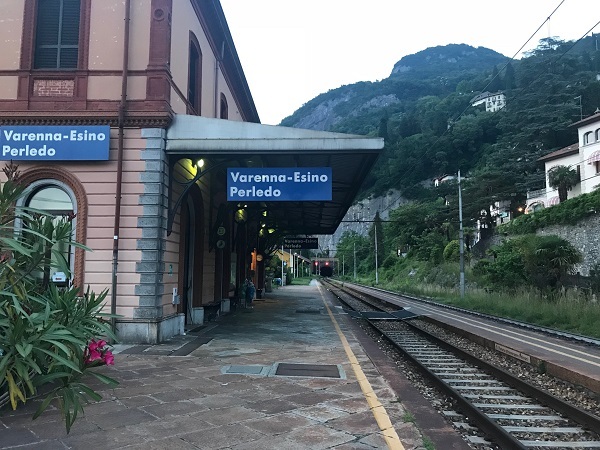 Just less than an hour after boarding the train at Stazione Milano Centrale, we arrived on the beautiful shore of Lake Como. Milan is this large industrial city in the way New York is to the U.S. yet just a short train ride away is one of the most beautiful places in the world. It was kinda magical seeing the contrast. 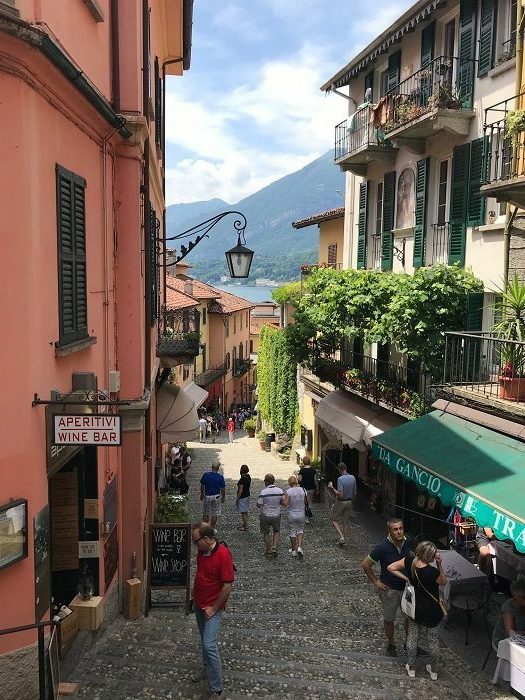 We had heard from so many how “dreamy,” “stunning,” fabulous” Lake Como is but there really are no words that capture the way the air smells, the pristine view of the Swiss Alps in the distance and the storybook magic of each of the little towns that dot the shoreline (right out of a fairytale). We stayed at the Excelsior Hotel Gallia which is right across from the main train station in Milan. It made it very convenient for an early train departure! 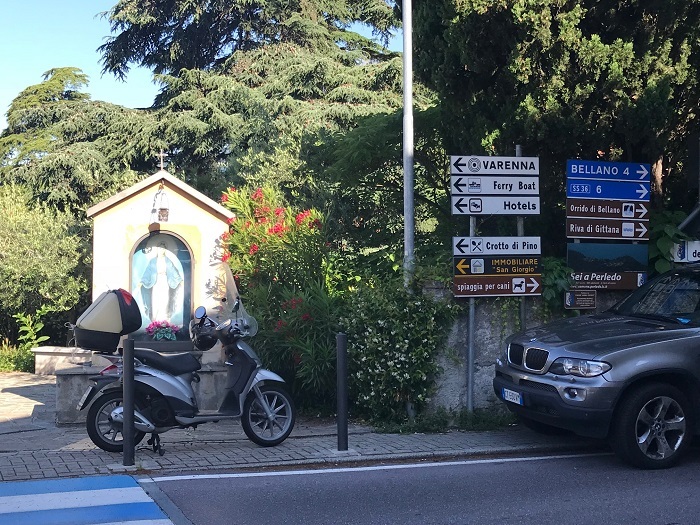 Upon arriving in Varenna, we followed the street signs into town, about a 10-minute walk, down to the water and historic center. We had about 30 minutes before we needed to meet our boat captain so we grabbed a seat outside at Nilus Bar for a quick espresso and cappuccino. It just happened to have this view (see below) – a pretty amazing first impression and a sneak peak of the beautiful day ahead. Our venetian-style taxi boat and captain was waiting for us at the dock. 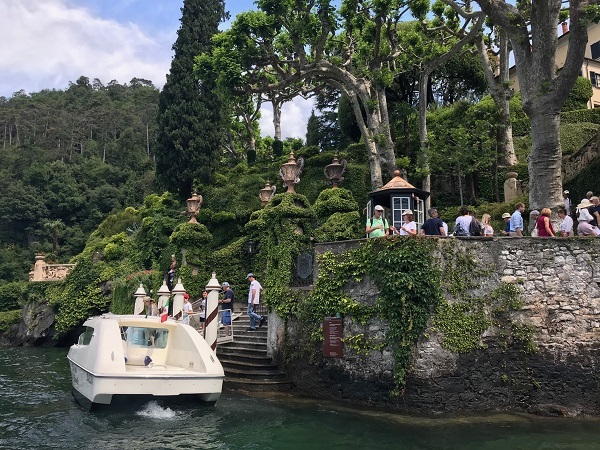 With it being our honeymoon, we organized a private boat tour for 2.5 hours through Taxi Boat Varenna but they do group tours as well. 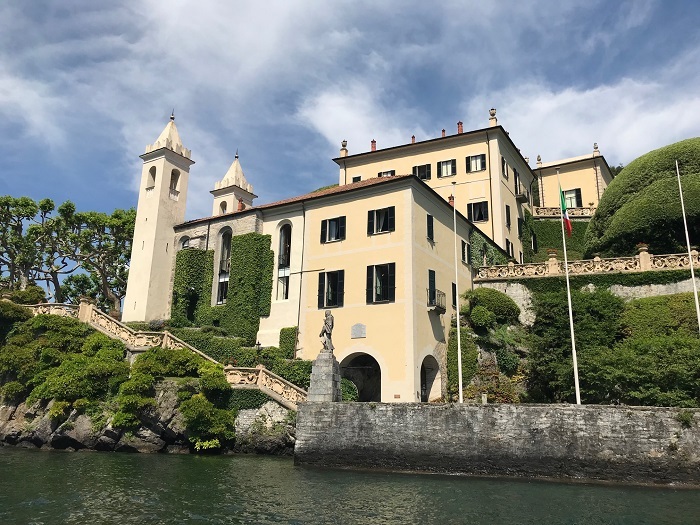 After first stopping at Villa la Gaeta (cue the scene from James Bond Casino Royale), we made our way to the most famous of all Italian villas, Villa Balbianello (also featured in James Bond). Our captain dropped us off to explore and waited for us. This was a highlight of the day! After lunch, we wandered into the city center of Bellagio. Bellagio is beautiful but bustling with tourists during the day. I would love to return at night time when the town quiets down. I can imagine it would be similar to the way people feel about Positano in the evenings once all of the ferries have departed BUT it is definitely worth seeing! To be honest, we couldn’t quite figure out the ferry situation at first as the lines were a little chaotic and then there would not be enough room on the boat when it arrived. We ended up having to wait for another ferry which ended up not being the “fast-boat” to Varenna so it took us an hour to go what would have been 20 minutes. If you are wanting to see multiple cities by ferry, make sure you check the schedule and take fast-service boats to avoid wasting time. 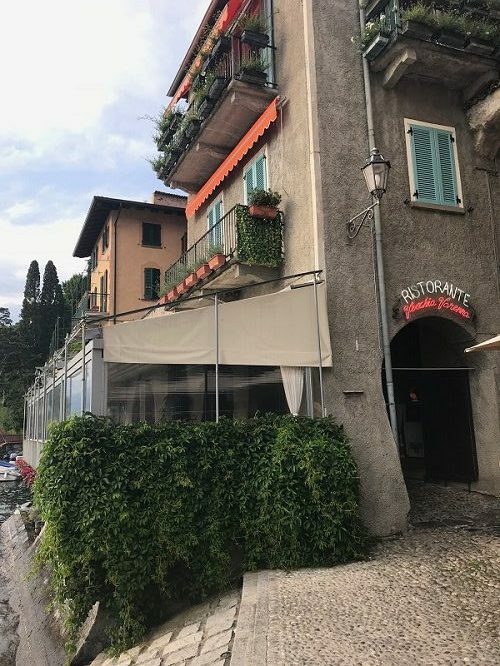 Our dinner reservation was not until 7:30pm so we walked around Varenna a bit and shared wine at both Ristorante Du Lac (a plate of cheese and meats came with our wine as part of their “apertivo”, delizioso!) 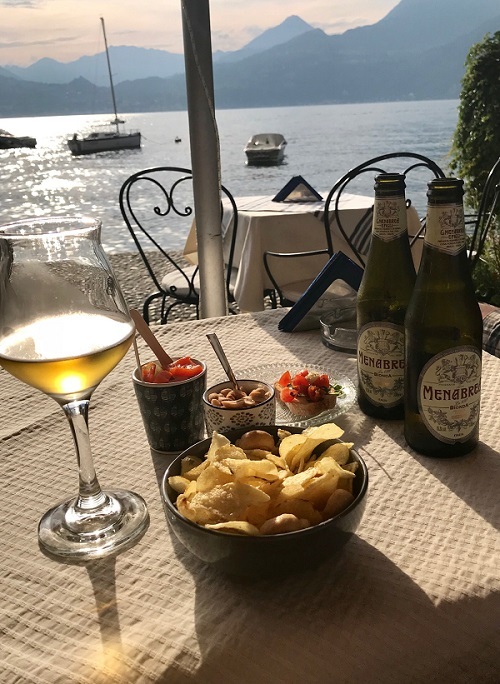 as well as Caffe Varenna. 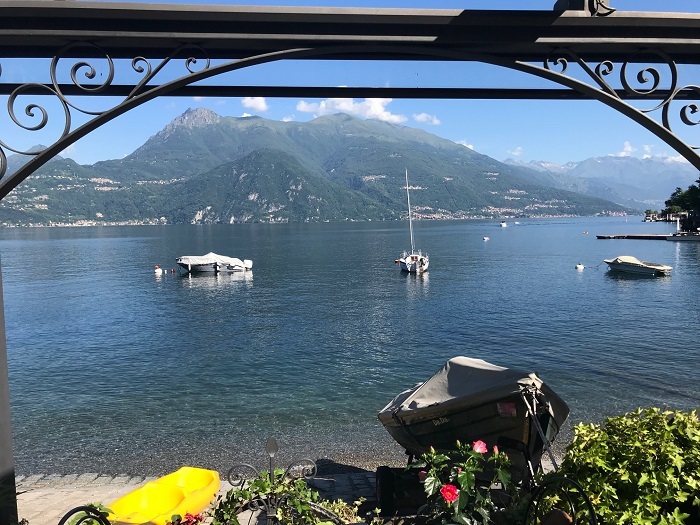 Vecchia Varenna is another charming, family-owned spot right on the water. 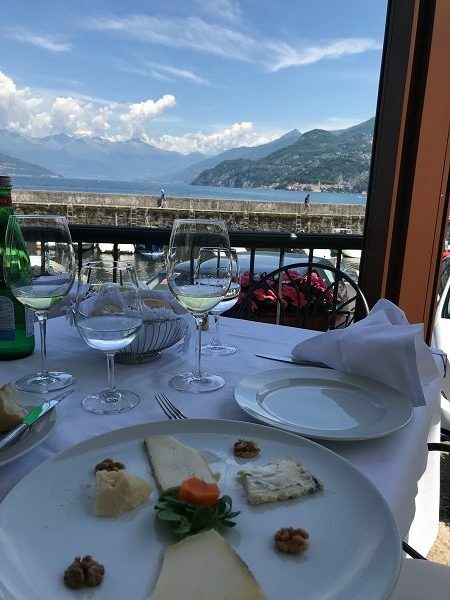 They are known to make the traditional dishes of the region using fresh local ingredients including the fish of Lake Como. Reservation needed! After dinner, we grabbed a gelato and caught a few more pictures of the sun-setting before walking back to the train station to catch our train home after what was a perfect day! You could easily spend a week (or a lifetime!) 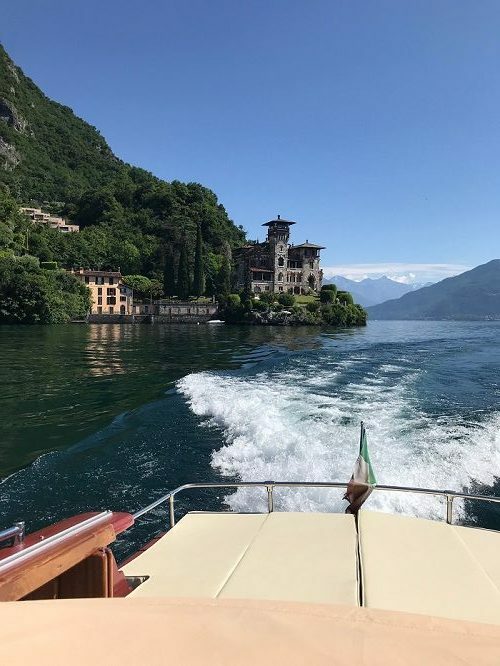 exploring Lake Como and the surrounding areas. The Lake itself is 30 miles long and 3 miles wide, 56 square miles, making it the third-largest lake in Italy, after Lake Garda and Lake Maggiore. But if you are planning just a day trip like we did, there are many different ways to do it than the itinerary above. But for us, two things guided our visit: (1) We did not want to rent a car. (2) We really wanted to see Varenna and Bellagio. 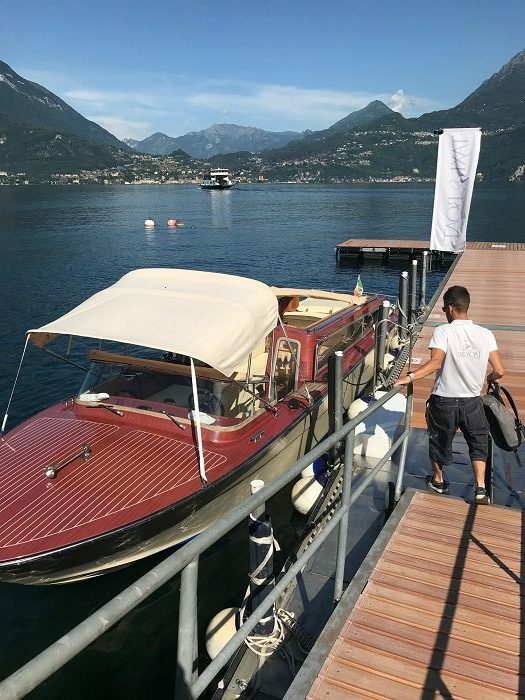 If you are looking to use Milan as a home base for day trips – I do highly recommend the Excelsior. It is a little more modern than Chad and I normally prefer but the convenience to the train station is perfect. Boat Tour – This is a must do. 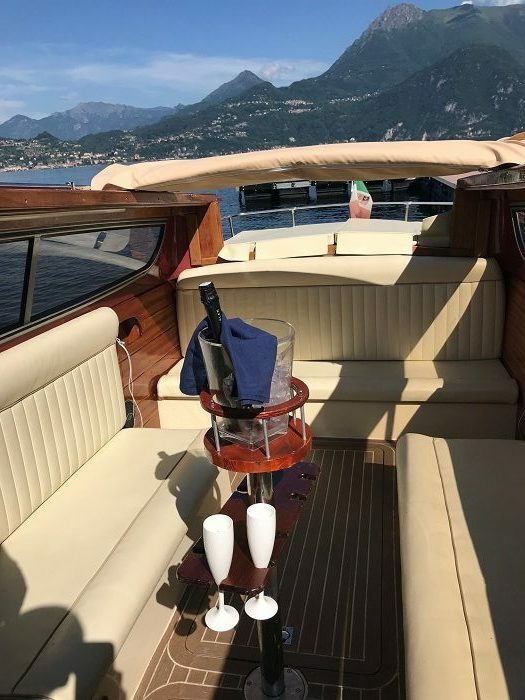 The best way to see Lake Como is from the water. 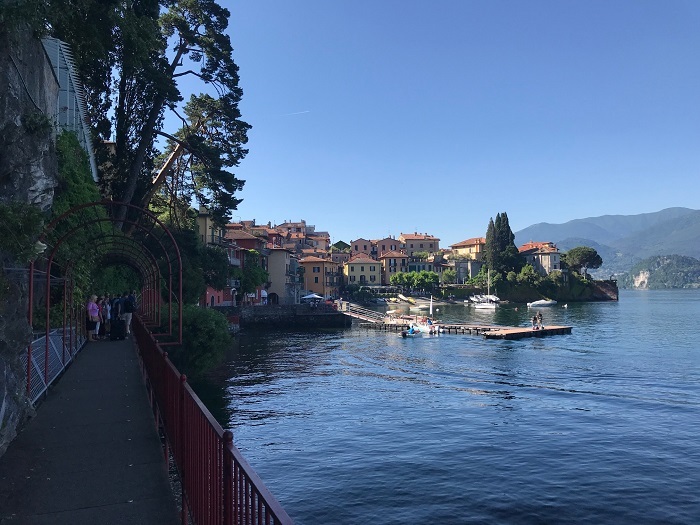 It allows you to see a lot in a short amount of time and the convenience of getting dropped off right at Villa Balbianello and Bellagio made the extra cost worth it. As soon as we boarded, they began playing Andrea Bocelli, and I was in heaven. Although not all budgets can afford private, I would forgo the expensive hotel and choose the boat ride. It was a highlight of our trip! We were there in early June and it was a beautiful day but if I were to go back I would plan for the fall, the months of September to November. Any day in Lake Como is a good one but I also can imagine that it is even more dreamy with a little chill in the air and the trees changing colors. 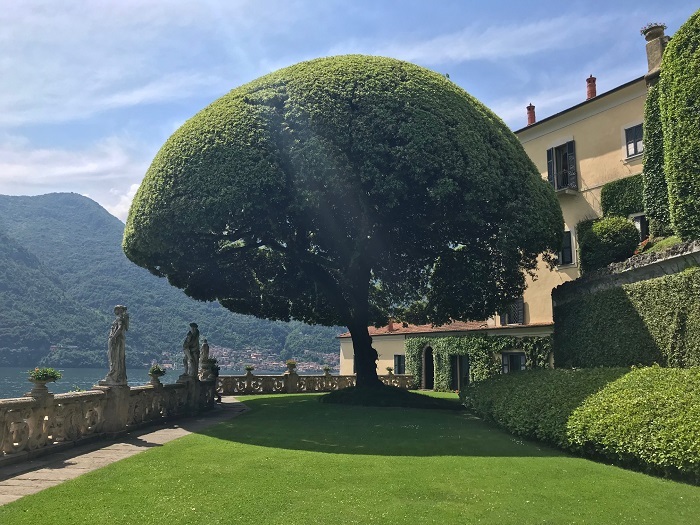 For more Lake Como recommendations, one of my favorite bloggers in Italy, Elizabeth Minchilli, shares her experiences here.